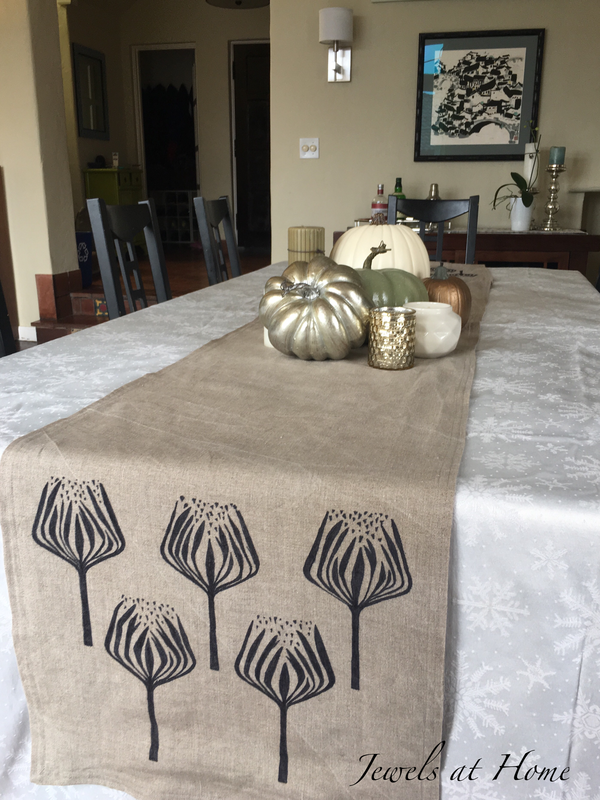 Remember when I painted our Gold Feather Table Runner? 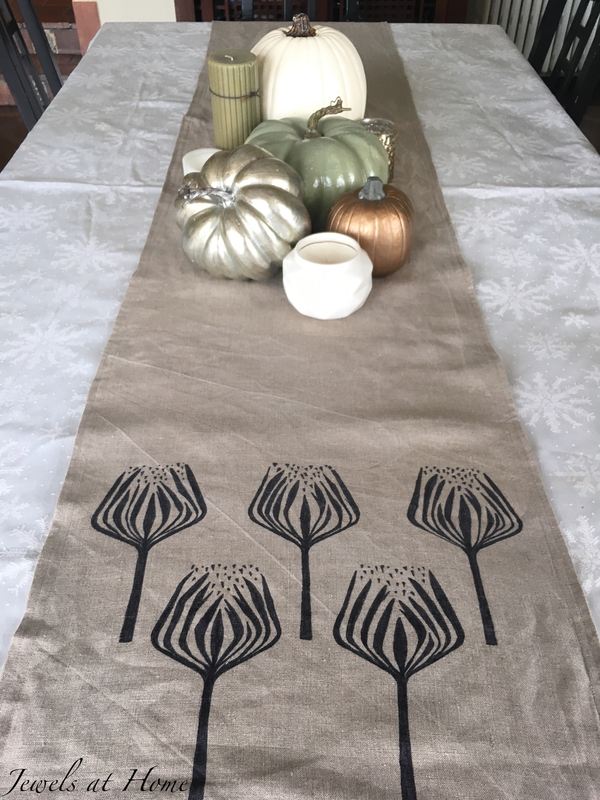 It was one of a pair of linen table runners that I am making for our Thanksgiving dinner this year. I am so excited to host my coworkers and their families! The design was inspired by a design by Jesse Breytenbach. 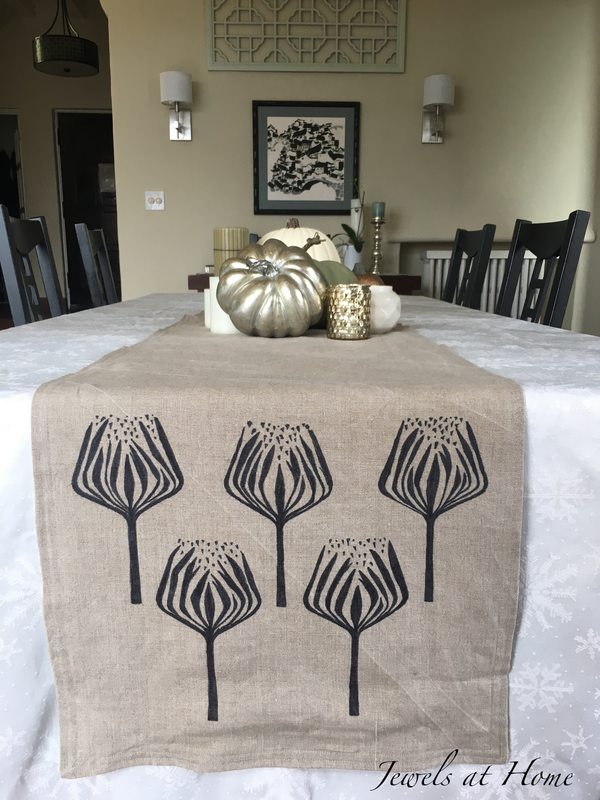 She makes gorgeous stamped fabrics, and this flower (thistle? artichoke??) really captured the natural and elegant look I wanted for our Thanksgiving table. I used sharpie to draw the the design which satisfied my grown-up coloring needs. Here’s a close-up of the finished flowers. 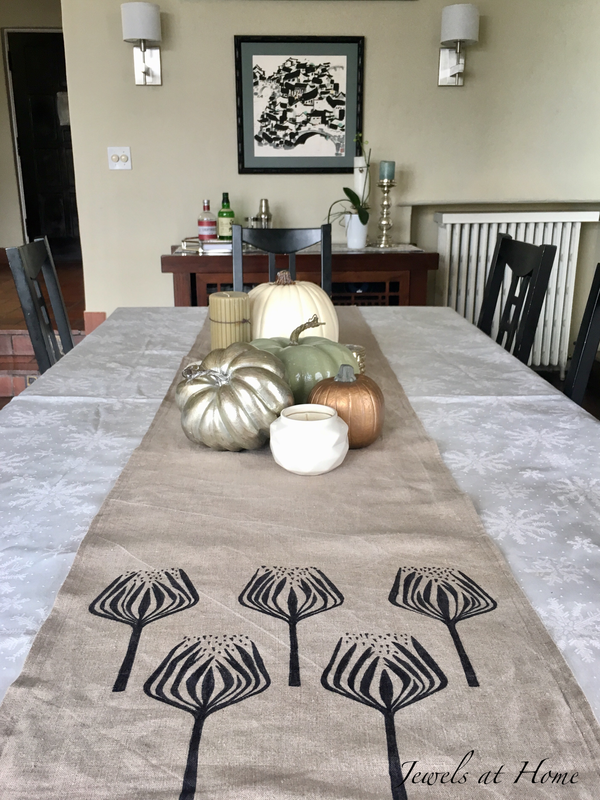 And here’s the runner with a preview of our Thanksgiving table! I like the simple colors that evoke the season while still blending into the rest of our home. Wishing you a happy holiday with your friends and family!